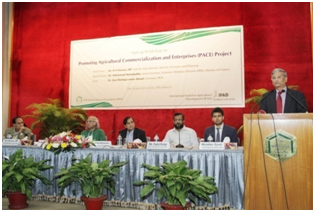 Palli Karma-Sahayak Foundation (PKSF) launches a new project titled Promoting Agricultural Commercialization and Enterprises (PACE) Project. This project is jointly financed by PKSF and International Fund for Agricultural Development (IFAD). 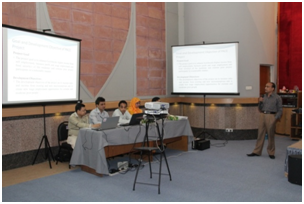 The start-up workshop of the project was held on 04 March 2015 at PKSF Auditorium. 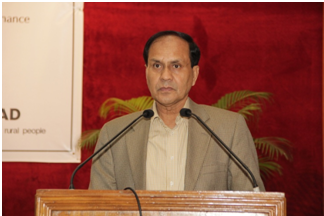 Mr. M A Mannan, MP, honorable State Minister, Ministry of Finance and Ministry of Planning, Government of the People’s Republic of Bangladesh, was the Chief Guest in the workshop while Mr. Mohammad Mejbahuddin, Senior Secretary of Economic Relations Division, Ministry of Finance was the Special Guest. 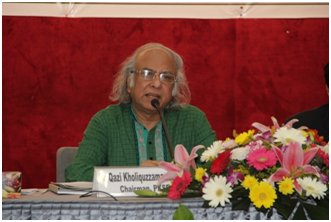 Dr. Qazi Kholiquzzaman Ahmad, Chairman, PKSF presided over the workshop. Mr. Md. Abdul Karim, Managing Director, PKSF also spoke on the occasion. Mr. Fazlul Kader, Deputy Managing Director, PKSF delivered the welcome speech. Mr. Akond Md. Rafiqul Islam, General Manager. PKSF made a graphic presentation on the PACE project. 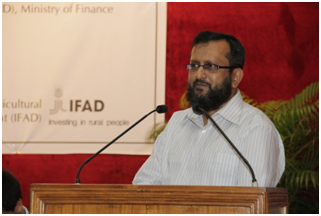 Mr. Nicolas Syed, Country Programme Officer, IFAD made some commendable remarks on behalf of IFAD. 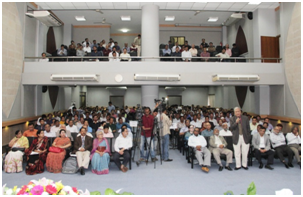 Around four hundred officials of different government and private sector organizations including PKSF and its Partner Organizations (POs) attended the workshop. Mr. M A Mannan, MP, honorable State Minister for Finance and Planning spoke highly about PKSF for its continuous contribution to the country’s development. He mentioned that IFAD funded projects in different parts of the country are playing some important role in changing people’s economic conditions. PACE will be a very effective project in reducing poverty through employment creation, he hoped. He called upon PKSF and its POs to come forward to resolve all challenges the country is facing now. He thanked all concerned for launching this project. Dr. Qazi Kholiquzzaman Ahmad, Chairman, PKSF, said that all PKSF activities are directed to the betterment of the people. From an exclusive microfinance organization PKSF has now become a muli-dimensonal development organization. He referred to ENRICH (Enhancing Resources and Increasing Capacities of Poor Households towards Elimination of their Poverty), a holistic program of PKSF. He mentioned that PKSF now addresses issues like women empowerment, health, education etc in its development endeavors in order to enable people to achieve human dignity. The PACE project will help expedite the goal of poverty reduction of the country, he said. The special guest of the event Mr. Mohammad Mejbahuddin, Senior Secretary of Economic Relations Division, Ministry of Finances applauded PKSF as an excellent organization in the development sector of the country. It is widely known for its transparency and accountability. He remarked that only Microfinance cannot go a long way to sustainably alleviate poverty. He said that the PACE encompasses almost all elements necessary for the development of the poor. He also remarked on the potential of this project to create opportunities for the entrepreneurs to exploit the benefits out of free market. Managing Director of PKSF Mr. Md. Abdul Karim mentioned that PKSF has been implementing multi-dimensional activities for expediting poverty reduction. To provide better services to the poor and bring out the people from poverty, PKSF has diversified its financial services. PKSF is also providing training and technical supports to the poor for enhancing their capacity. The Value Chain Development projects under FEDEC showed good results in increasing productivity and income of the entrepreneurs, he mentioned. He referred to PKSF’s wining recognitions from different national and international organizations. PKSF never compromises with quality in implementing its programs and projects, he strongly stressed. For its proven transparency and efficiency, the development agencies are now showing increasing interest to work with PKSF. He expected that the PACE will be another landmark project of PKSF. Mr. Md. 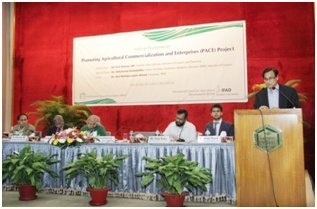 Fazlul Kader, Deputy Managing Director, PKSF said in his speech that PKSF had introduced the ME program in 2001 with a view to assist growth based economic activities for creating more employment in the country. Recently completed and IFAD-funded ‘Finance for Enterprise Development and Employment Creation (FEDEC) Project has made enormous contribution to expand PKSF’s Micro enterprise program. PKSF undertook subsector based Value Chain Development interventions to promote income and employment in various potential subsectors. Based on the success of FEDEC project, this new PACE project has also included financial and non financial services for small producers of farm and non-farm sectors. Mr. Nicolas Syed, Country Programme Officer of IFAD, in his speech said that PKSF has successfully completed three IFAD-funded projects. One of these projects named Microfinance for Marginal and Small Farmers (MFMSF) achieved Development Impact Honor Award from US Department of Treasury. He expressed his satisfaction for implementing these projects with high level of quality. The PACE project will be another excellent accomplishment of PKSF, he hoped. Mr. Akond Md. Rafiqul Islam, General Manager, PKSF and Project Coordinator of PACE Project gave a presentation in the workshop describing PACE’s goal, objectives and activities. He mentioned the six-year PACE project will be implemented all over the country through PKSF’s POs. The project will involve other government and non government organizations to extend value chain related support to stakeholders. An internet-based marketing platform will be set up to provide market-related information to the entrepreneurs and to facilitate marketing of the commodities produced by the microentrepreneurs. The total cost of the project is USD 92.85 million of which IFAD contribution will be USD 40.0 million. Apart from providing financial services to existing 7.0 lac entrepreneurs the PACE project will provide non financial services to 3.5 lac project participants, the Project Coordinator mentioned in his presentation. Participants from different organizations took part in the open discussion session. The interventions were largely positive and encouraging. Everyone was of the opinion that PACE can play a very important role in enhancing livelihoods of the farmers and small producers. The participants appreciated PKSF and IFAD for launching this project.